If anything can be said of the Irish, it is that they are deeply connected to their heritage. It doesn’t matter if they still reside on the Emerald Isles or have emigrated for greener pastures; the Irish are loud and proud of their cultural traditions. 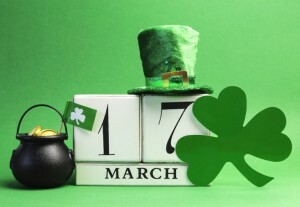 On no day is this more obvious than March 17: St. Patrick’s Day. 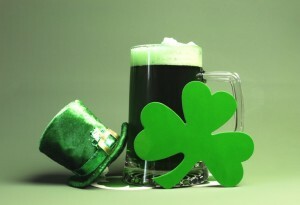 Ostensibly commemorating the man who freed Ireland of the serpents’ wrath, St. Patrick’s Day is a holiday for wearing green, drinking Guinness responsibly, and enjoying the company of your favorite Irish friends — which you can do with even more fervor while on a vacation in Niagara Falls. The Irish have been flocking to Canadian shores since the middle of the 19th century, perhaps due to the close ties the U.K. still has with its one-time colony. During the period between 1825 and 1970, so many Irish relocated to Canada that they became the second largest immigrant group in the country — outnumbered only by the French — totaling about a quarter of the entire Canadian population. Ontario has always been particularly popular among Irish immigrants due to the wealth of jobs available in the wealthy agricultural and industrial province. Most scholars note that the experience of Irish immigrants in Canada was vastly different from those in America: The plentiful availability of land as well as the lack of social barriers restricting social mobility allowed the Irish to integrate well into Canadian society. Today, what the U.S. popularly calls St. Patrick’s Day is labeled Irish Heritage Day in Ontario, as the Canadian people feel indebted to their Irish population for making the province into the functioning, peaceful place it is today. Though Niagara Falls can’t offer the density or rowdiness of Irish populations in, for example, Boston, Massachusetts, the city still offers some of Canada’s best St. Patrick’s Day festivities. From singing shanties in an Irish pub to seeing green all night long, you should be able to enjoy the most perfectly Irish of days in Niagara Falls. See the Falls at night. Niagara Falls is just as beautiful at night as it is during the day — but for different reasons. The city delights in illuminating the Falls in various hues for visitors’ endless enjoyment, and they always match the Falls’ colors with special holidays. On the night of March 17, you’ll be able to see the waterfalls proudly lit in bright, Irish green. Enjoy a beer. Grab some friends and head to Niagara Brewing Company on Clifton Hill for a fun and exciting St. Patrick’s Day celebration full of great beer, food, and live music. The brewery has 4 signature beers always on tap along with a number of limited-time seasonal brews that you won’t want to miss!